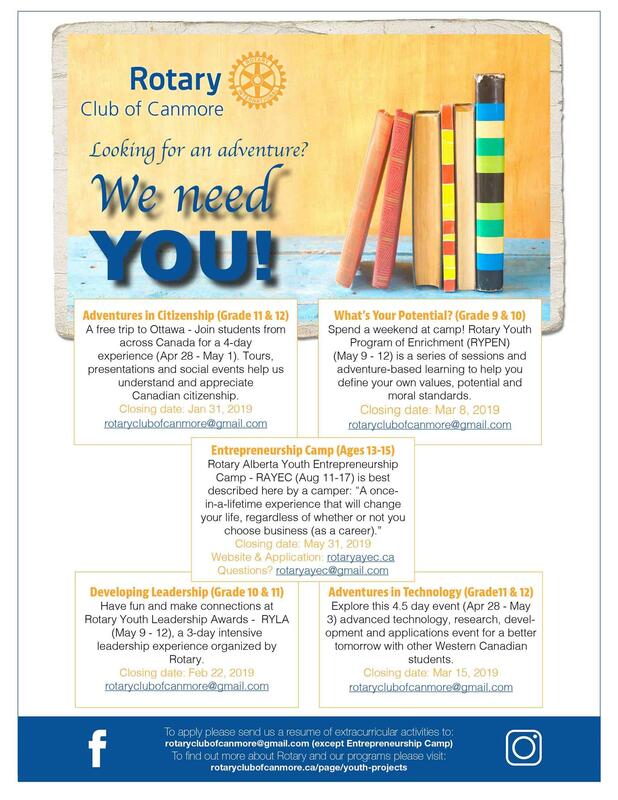 "Two days can change a life, join the members of the Canmore Rotary Club's Youth Mission to Mexico to build a home with the Homes of Hope program. Smiles, laughter, and change that will be felt for a generation. Produced by Tracy Luc-German (thats me!) and Brandon Wilson. ©Tracy Luc-German & Brandon Wilson"
PDF Information on HOMES OF HOPE 2020 will be posted next fall - see if it's a fit for you! Charity Golf Classic open for registration! Get your spot now for our fun tournament June 14, 2019! Help us celebrate more than 25 years of fundraising for community initiatives, making a difference in our local and global communities. 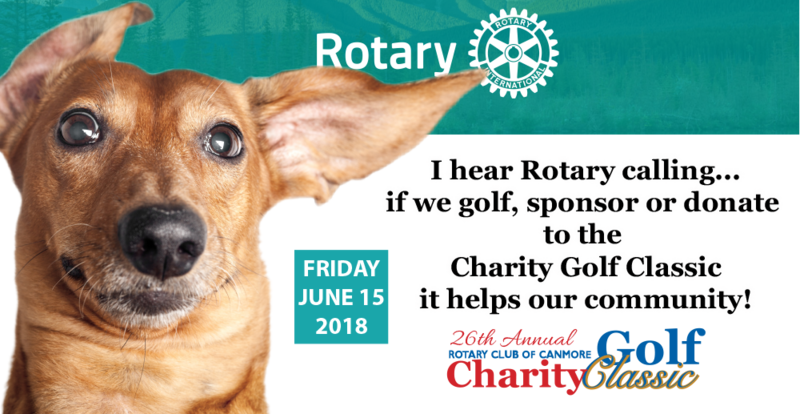 Support as a sponsor and/or enjoy a great day of golf including cart rental and a steak dinner, the chance to win amazing prizes, and participate in our silent auction and bucket draws. Try to beat the champion Lisa ‘Longball’ Vlooswyk, 8-Time Canadian Long Drive National Champion. All proceeds go to our worthy causes. You can always help in some way - as a hole sponsor, major sponsor or with an in-kind domation as we're lining up some spectacular prizes for our Amazing Ball Drop and silent auction/bucket draws. If you have questions - email us now! 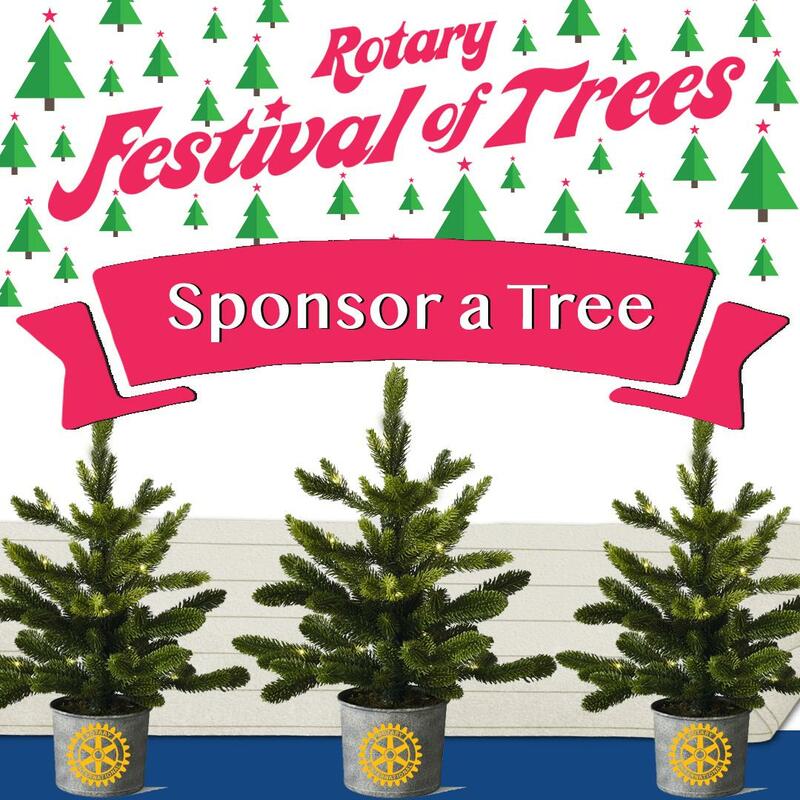 Find out about these events and more at rotaryfestivaloftrees.ca! 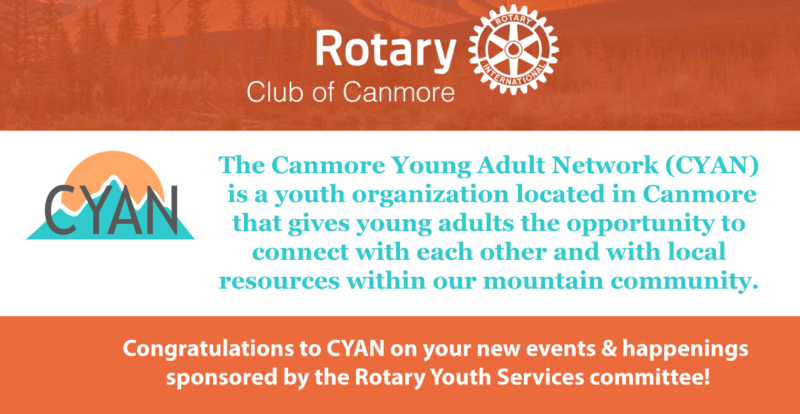 We would like to offer our congratulations to the Canmore Young Adult Network on the initiation of several new events - keep up the good work! Programming support was provided by the Youth Projects committee of the Rotary Club of Canmore. 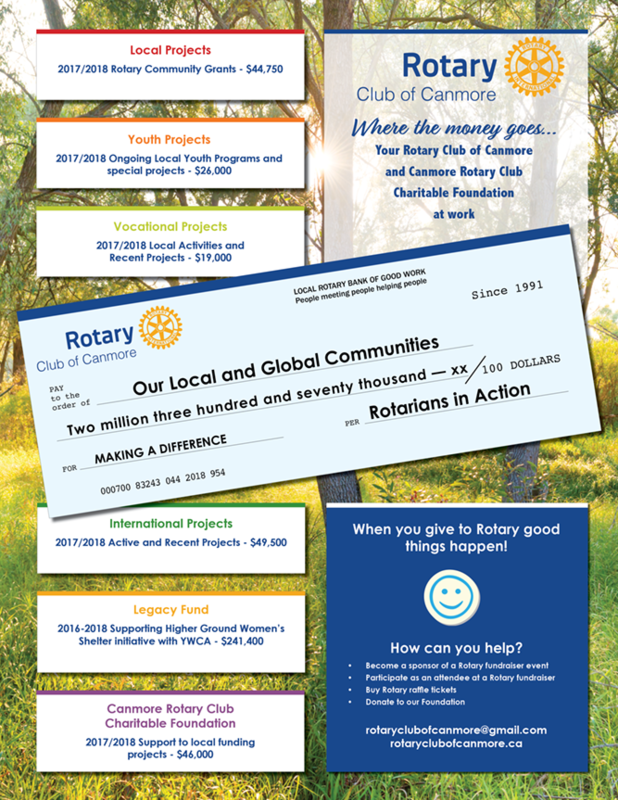 The long term relationship between the Rotary Club of Canmore and YWCA Banff was formalized at a Club meeting on Feb. 22, 2017 by signing a 'Letter of Agreement' regarding not only the funding that Rotary will be providing for the project but also the longer term working relationship between us. The YWCA Banff has plans to make the Higher Ground project a reality by 2020. In summary, it will be a purpose built facility located in Canmore to provide services to the Bow Valley, in the words of YWCA Banff CEO Connie MacDonald as she was addressing the Rotary Club of Canmore on Feb. 22, 2017, “a place of refuge amongst the chaos” for women and children facing an abusive domestic situation. This is an ambitious project, estimated to cost in excess of $3.2 million but as Connie also said: “if we care enough we can make it happen”. 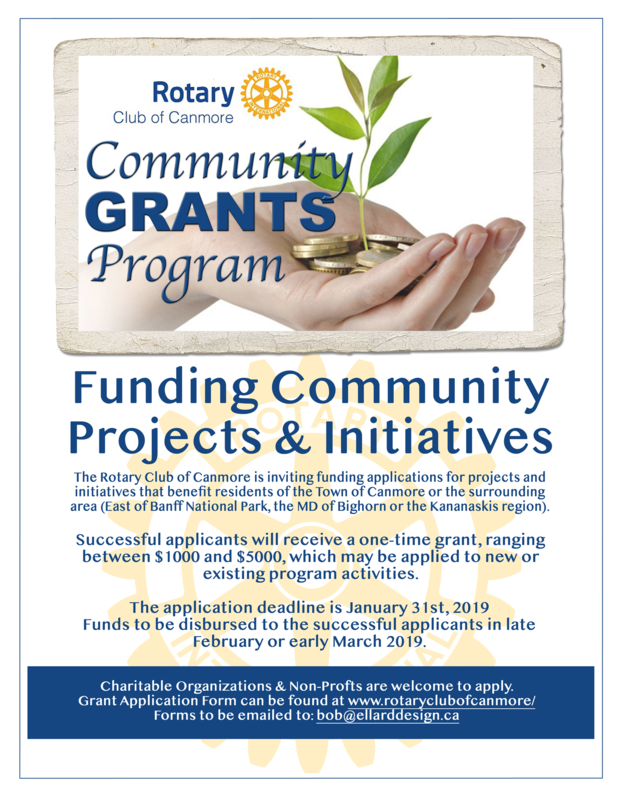 The Canmore Rotary Club Charitable Foundation (CRA Registration No. 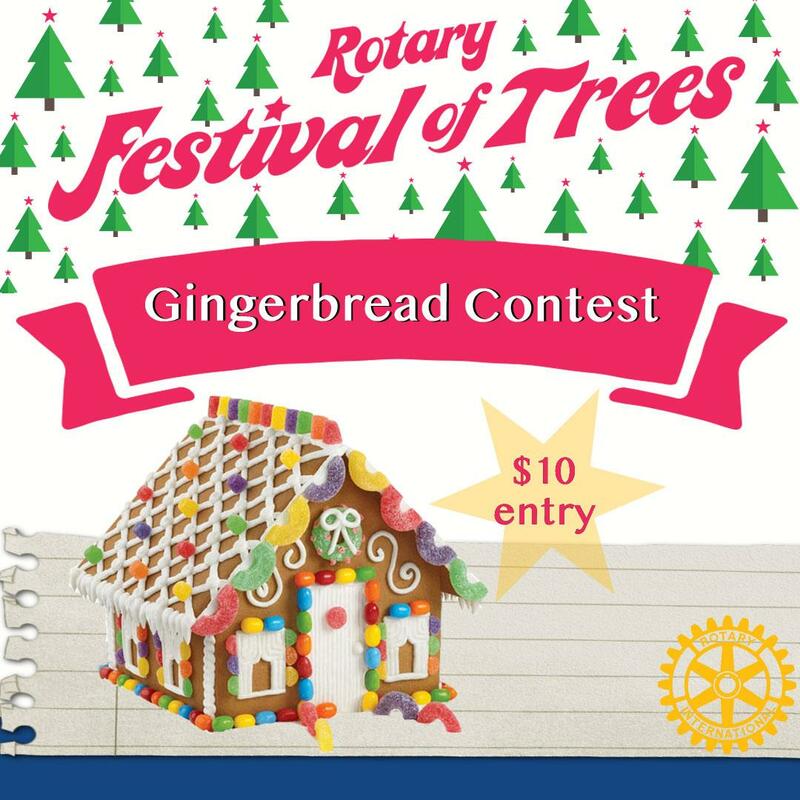 86371-5520-RR0001) has established a dedicated account to accept contributions which will be matched from the Rotary House proceeds funds. 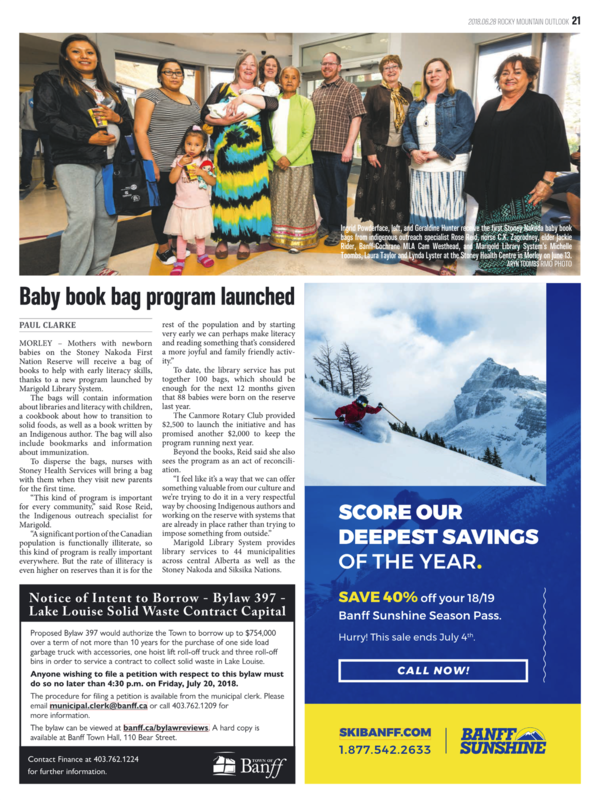 Contributions can be made electronically through ATB Cares at the following link: https://www.atbcares.com/causes/124-863715520RR0001?projectID=39YGFPGG71. 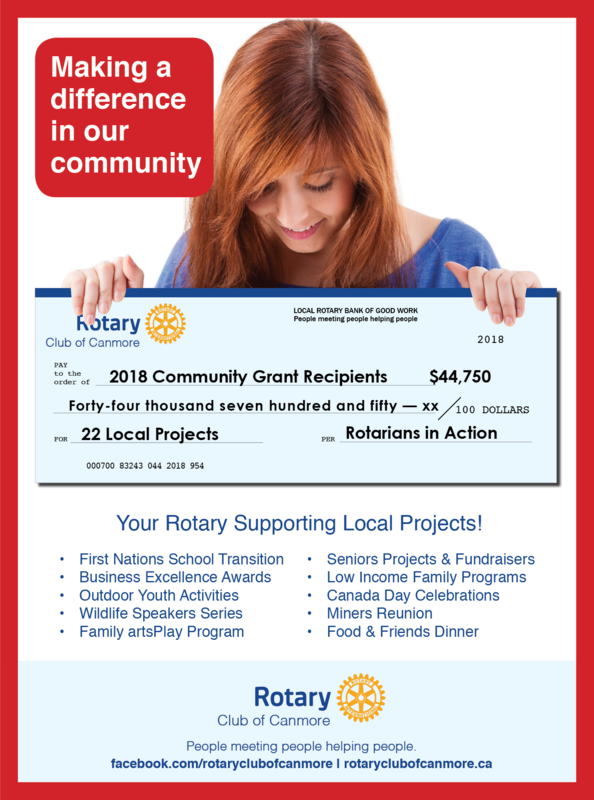 Cheques made payable to the Canmore Rotary Club Charitable Foundation with a notation that it be dedicated to the Higher Ground project will also be gratefully accepted. Donations directly to the YWCA Banff in support of the Higher Ground project will also be accepted through various channels (ywcabanff.ca; 403-760-3218) and will be fully eligible for matching funds from the Rotary Club of Canmore. Whenever we have a 5th meeting planned, it will be posted here with location, times and details. At the Canmore Golf and Curling Club. Cocktails at 6:00pm, dinner at 7:00pm. We will have an ornament exchange per person that can be made or bought, and a wine raffle.